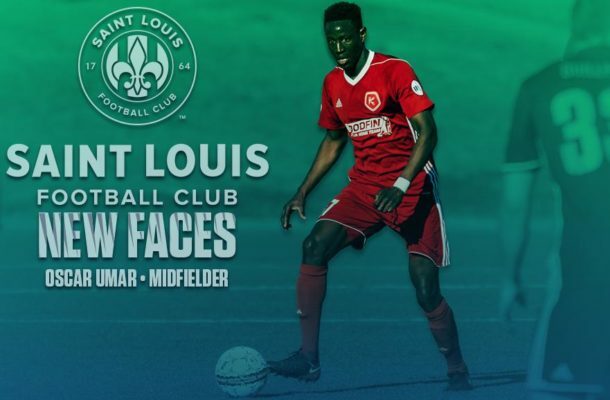 Saint Louis FC announced the signing of midfielder Abdul “Oscar” Umar, pending league and federation approval, for the upcoming 2019 USL Championship season. Umar was born in Tamale, Ghana and moved to the United States in 2008 as part of the Right to Dream Academy. He attended Villanova University where he appeared in 74 games and scored five goals and tallied 12 assists during his collegiate career. Umar then played for Ocean City Nor’easters in 2016 in the USL PDL and West Chester United of the NPSL in 2017 where he made five appearances for each club, respectively. He would sign for Richmond Kickers midway through the 2017 USL season and has made 36 appearances since that time, including making 21 starts and scoring one goal during the 2018 USL season.